During Max’s nap today Gareth asked Callum what he would rather do – watch a show or choose a new recipe to try from the cookbook he got for Christmas. 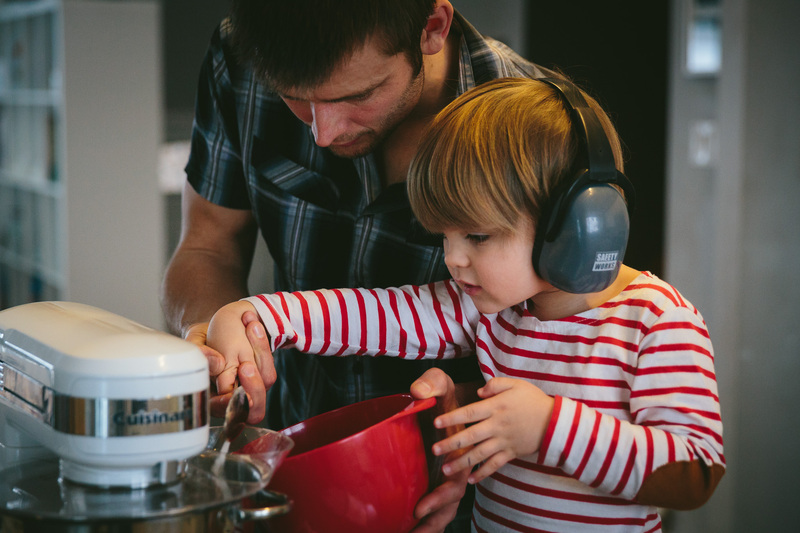 He chose to bake with dad. Apparently sometimes that requires additional protection! I hope he always chooses to experience something new rather than to plop down in front of a screen.